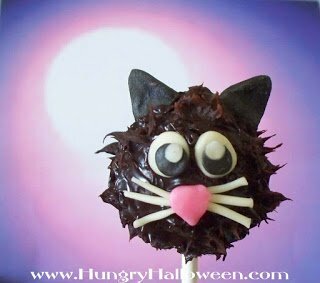 Welcome to my Hungry Halloween page. 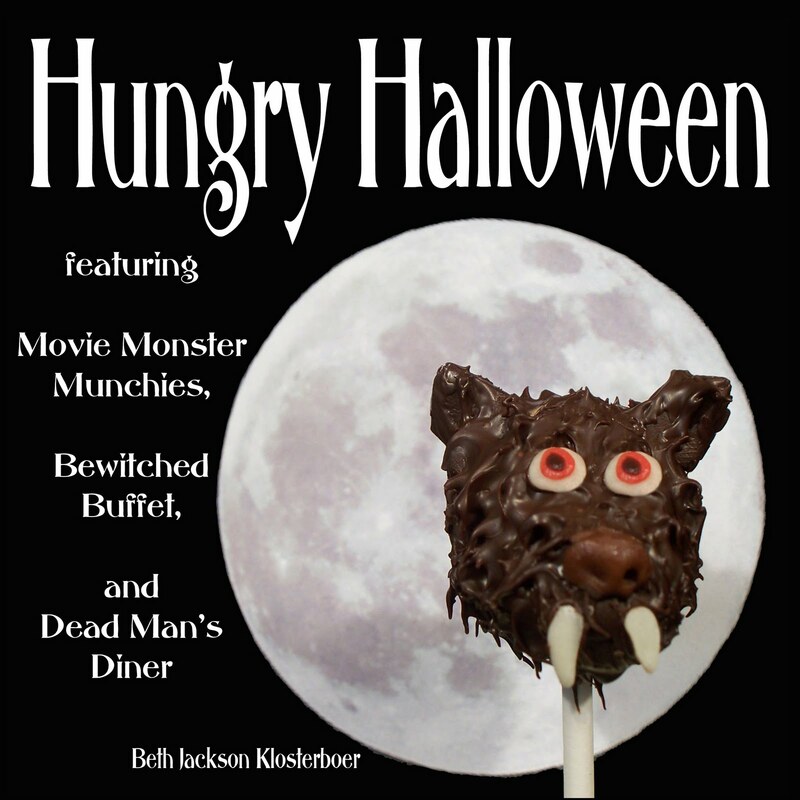 In June of 2010 I published my first cookbook, Hungry Halloween featuring Movie Monster Munchies, Bewitched Buffet, and Dead Man’s Diner. 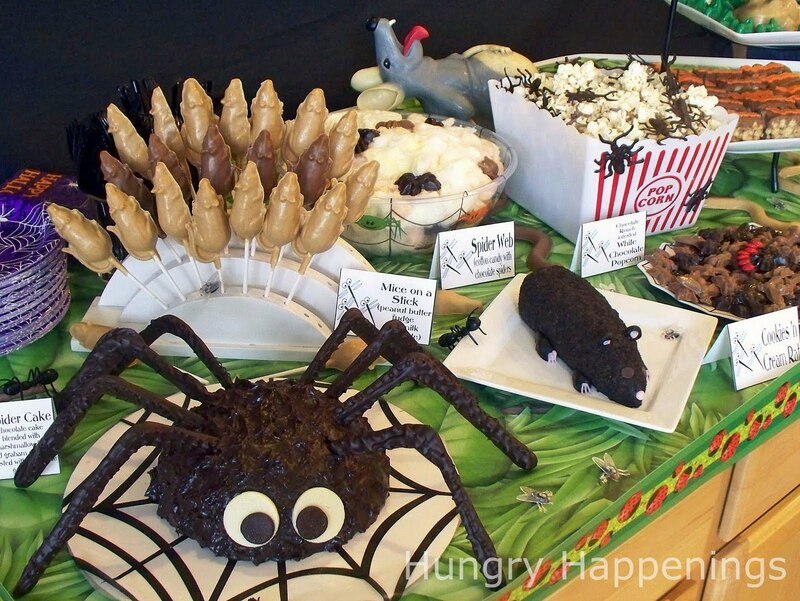 Soon afterwards I began blogging about my Halloween recipes, crafts, games, and party decor at HungryHalloween.com, but found that my readers were anxious to have me create recipes for special occasions throughout the year, so I began HungryHappenings.com. 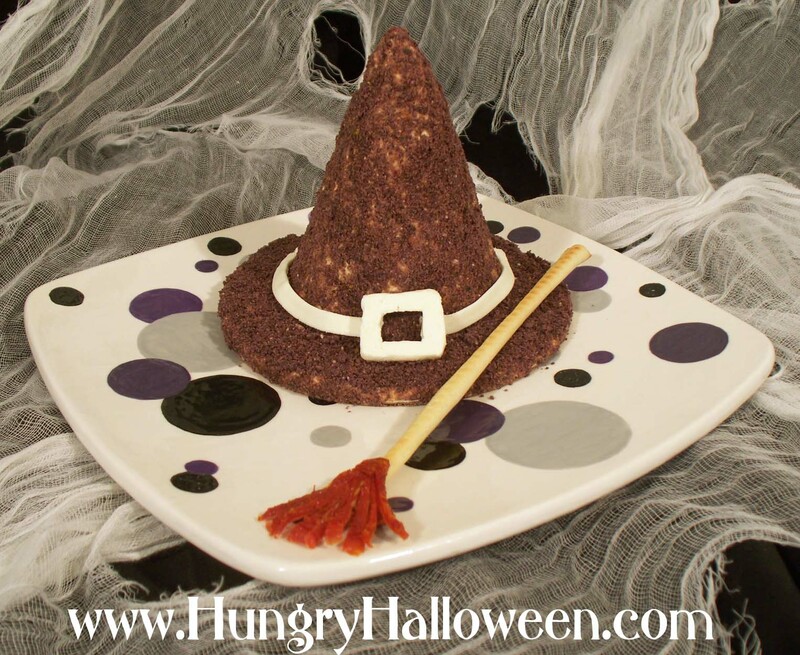 In 2013, I merged HungryHalloween.com into HungryHappenings.com. 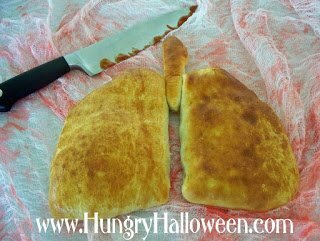 If you scroll down this page, you will find links to everything that was previously published on HungryHalloween.com. 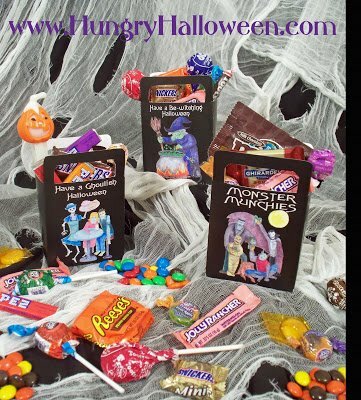 If you have purchased my book, Hungry Halloween and are looking for templates and more Halloween information, you’ve come to the right place. Keep scrolling! 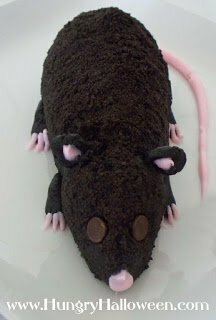 There are 43 unique recipes that have not been shared here or anywhere else but in the book. 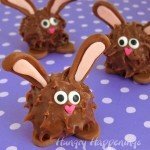 Just 3 recipes from the book have been posted on Hungry Happenings. Each recipe is accompanied by a full page, full color photograph and step-by-step instructions. 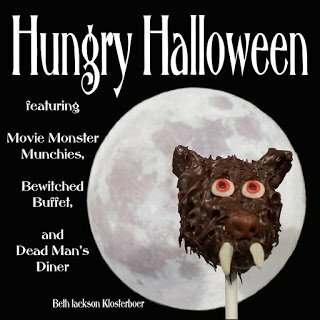 featuring Movie Monster Munchies, Bewitched Buffet, and Dead Man’s Diner. 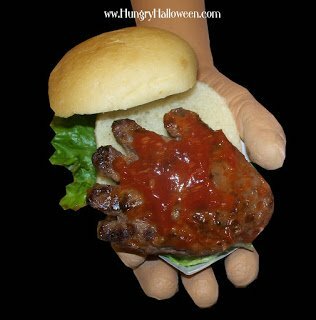 Hand-Burger Dripping in Blood (excerpt from Hungry Halloween). Hand shaped hamburgers dripping with blood red ketchup. 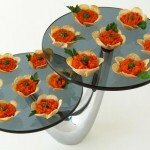 Artichoke dip topped with spinach dip decorated with crushed blue corn tortilla chips. 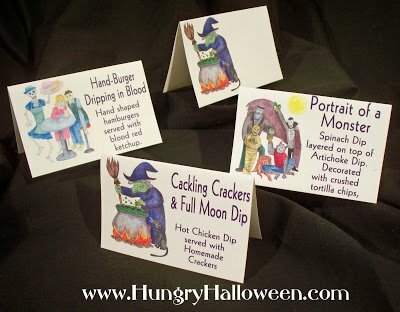 Cackling Crackers and Full Moon Dip (excerpted from Hungry Halloween). 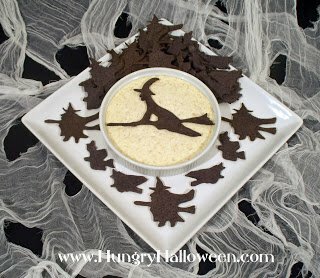 Homemade witch shaped crackers with hot chicken dip moon. 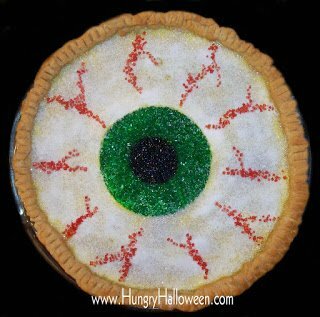 A creamy creme brulee pie decorated to look like a bloodshot eye. 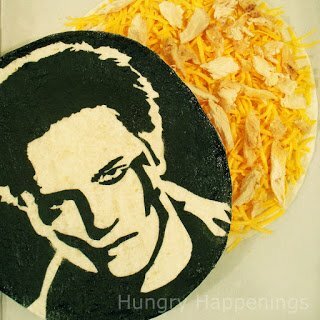 A quesadilla emblazened with the image of Edward Cullen. 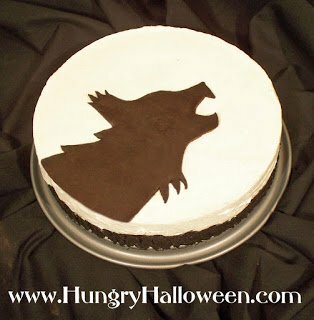 Howlin’ Werewolf image in this Halloween version of a cheesecake. 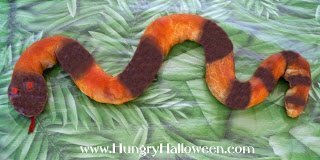 An Oreo Cookie/Cream Cheese dough are used to create this cute yet gross Longtail. 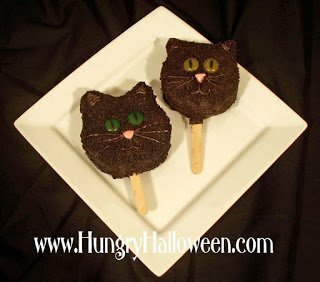 Rice Krispies Treats shaped and decorated to look like Halloween cats. 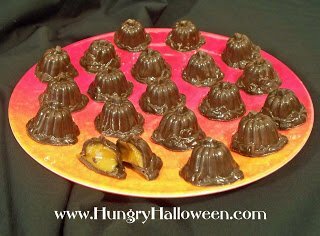 Pumpkin ganache centers in a dark chocolate shell. 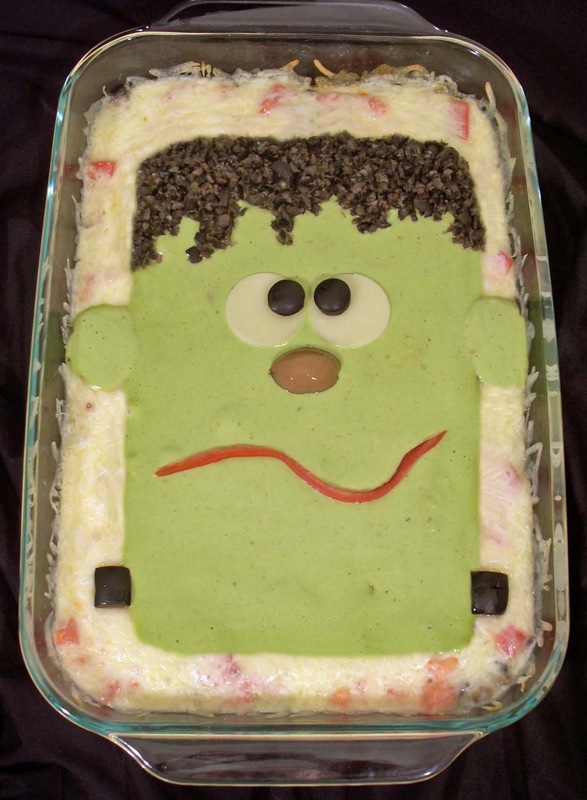 A hot and spicy layered dip decorated with a guacamole monster. 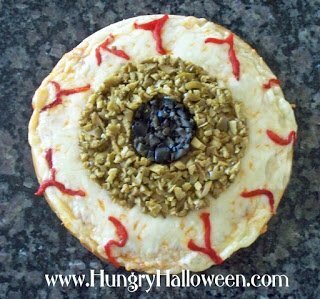 You can see all the Halloween recipes that I have created recently and have posted on HungryHappenings.com, here. 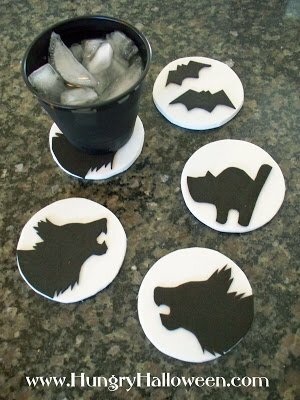 Cut foam circles and add Halloween shapes on top to create coasters for your party. 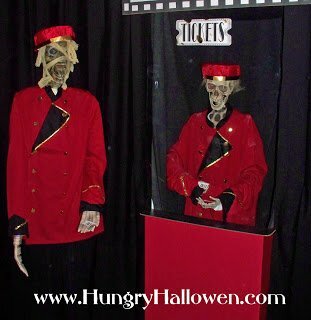 complete with ticket booths and zombie ticket takers. 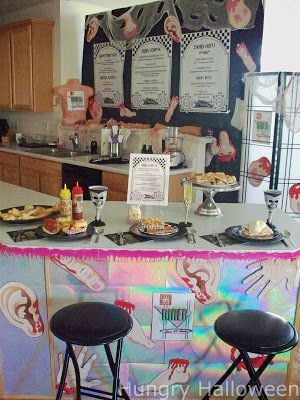 See how we transformed our kitchen into a bloody diner. 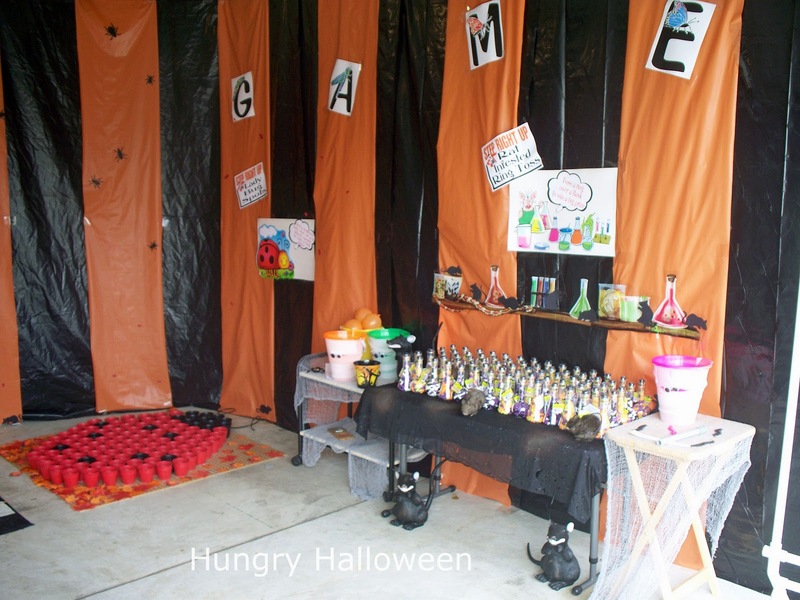 See how we transformed our garage into a carnival tent featuring bug themed carnival games. 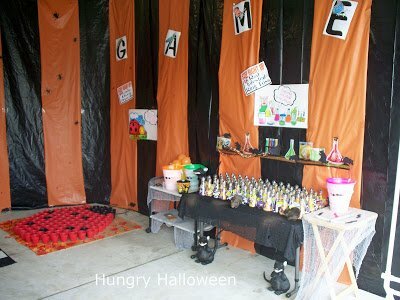 See even more games and decorations for our carnival themed party. 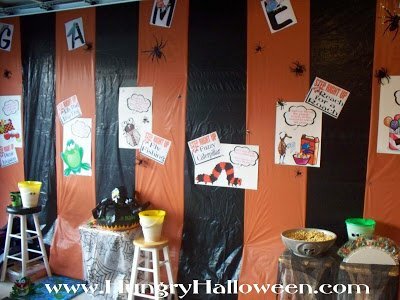 See all the various foods we turned into creepy crawlers for our party. Detailed instructions for building static displays using pvc pipe and costumes. 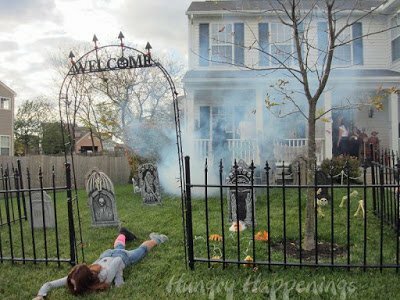 The zombies attacked our home for Halloween. 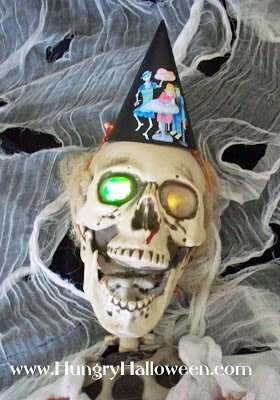 Printable party hats with themes from Hungry Halloween parties. Printable tags to display by your Hungry Halloween party food. 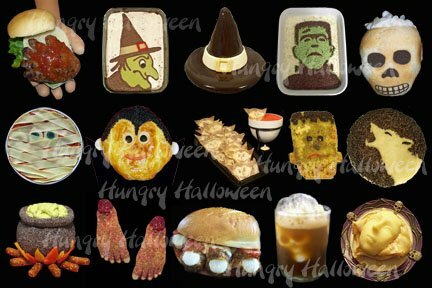 Printable party bags featuring Movie Monster Munchies, Bewitched Buffet and Dead Man’s Diner themes. 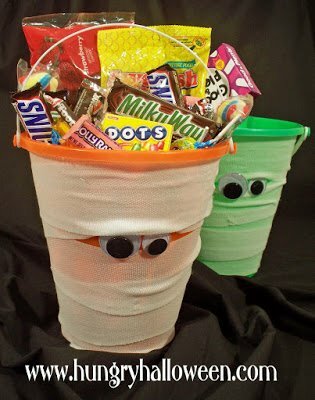 Gauze wrapped beach pails adorned with googly eyes. 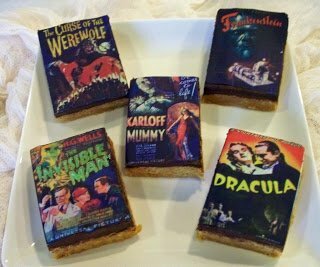 Now, I can testify to the imaginative part — when I did my show on the Food Network, every year for ten years we did at least one Halloween show and it became hard to find new and unusual stuff to demo. Everything in this book seems new and unusual to me and, the recipes have the added bonus that most of them are made from scratch. 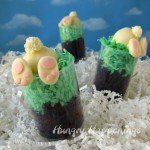 No scary ingredients used here! Beth developed, styled and photographed the 44 recipes herself. There are many “how to” photos and templates at the back of the book to be used for design. 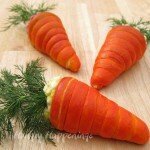 It would be easy for anyone, even a novice cook or baker, to follow these recipes. Beth has a website as well: http://www.HungryHalloween.com which you might want to check out for more ideas. 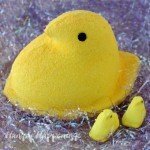 She lists sources on the website for the special equipment needed to make the recipes. The sources are featured in the right hand column at the very bottom of the home page. If you scroll down, there are pictures of each of the items with a click-able link directly to the amazon.com page. 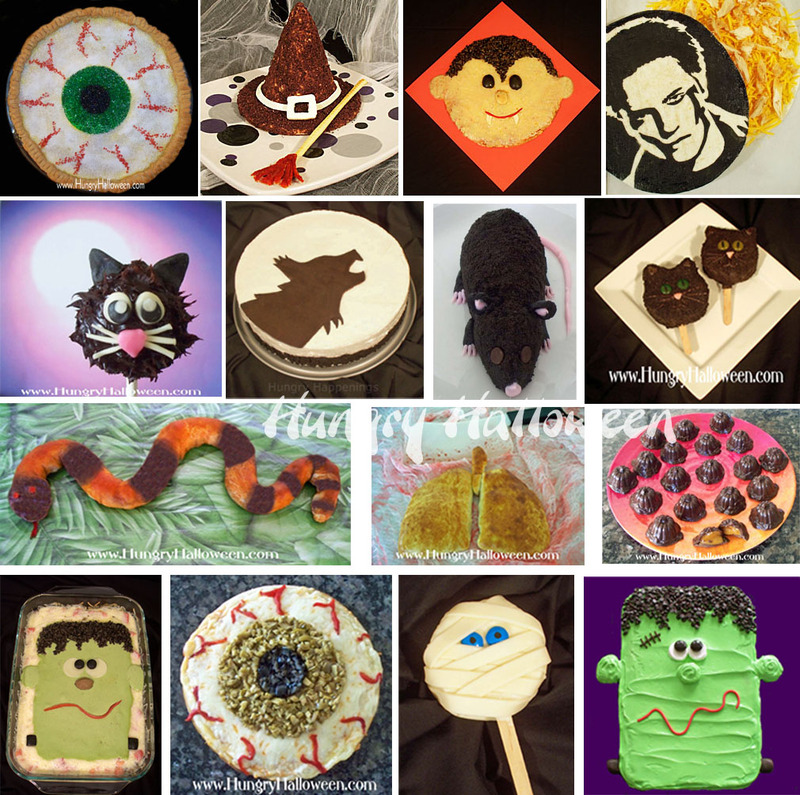 These items are all on the list: brain mold, disposable pastry bags, gel food coloring, paste food coloring, spray food color, decorating tips, stencil rollers, blank (a.k.a. clear) stencil sheets, lollipop sticks and the skull pan, as well as, most of the candy molds and cookie cutters. and, most important, where can you find the book? On Amazon.com. 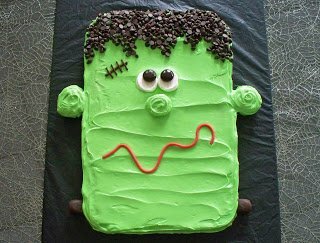 This isn’t my first Halloween cookbook. I have many. 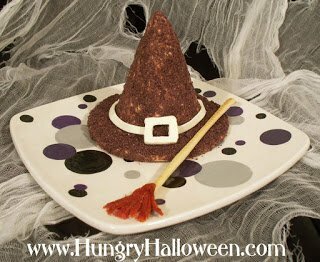 Trouble is many of them have cute names for recipes such as “witches fingers” but putting a whole olive at the end of a breadstick isn’t tasty, nor does it look like a finger to partygoers who didn’t read the recipe name. This book is different. 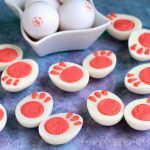 They are the most amusing and creative dishes I’d ever seen for a Halloween bash or to just amuse your kids or loved ones on Halloween. Heck, I said I loved the 7 layer dip with the witch on the top layer made out of guacamole so much surrounded by a sour cream background, I’ll never serve it another way year round. It’s funny as all get out! This is the kind of book you can’t possibly even flip through without saying “LOOK AT THIS!” and showing the pictures to someone else in the room. 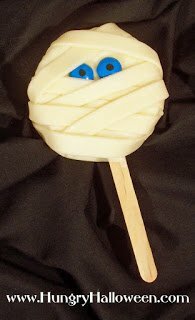 For example, she makes a lasagna that looks just like a mummy with the noodles overlapping exactly like mummy bandages and eyeballs peeking out. These are VERY artistic but the beauty is you don’t have to be an artist to create them–they are simple and if you really have difficulty being creative she helps out even further with stencils in the back of the book you can just overlay to do designs on things like wonton shells. Most things I think you could just eyeball to get perfect though. Had I not really read through the whole book I would have missed the stencils…you only need those for a handful of the dishes, but if you want to get really artistic, it allows you to do so without being an artist. 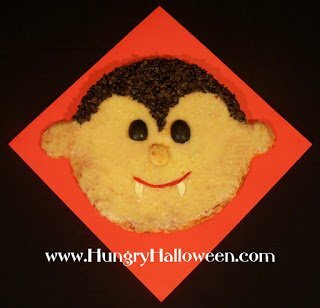 However, most dishes don’t call for any artistic ability and even if you didn’t want to use the stencils for, say, painting Dracula on wontons, you could take the idea and recipe and even have your kids paint a simple pumpkin on the wontons. It shows you have…but you also have the option on a few recipes to get into more detail with little effort via the stencils. The author apparently has huge Halloween parties based upon the clever photos in the book such one depicting a “Dead Man’s Diner” where they made a kitchen bar (I am guessing–it looks so much like a diner it’s hard to tell if it is someone’s real kichen) look exactly like a 50s diner but all the food looks like it’s made from body parts and the servers have “bloody aprons”. It’s crazy and clever…you get more than just recipes. 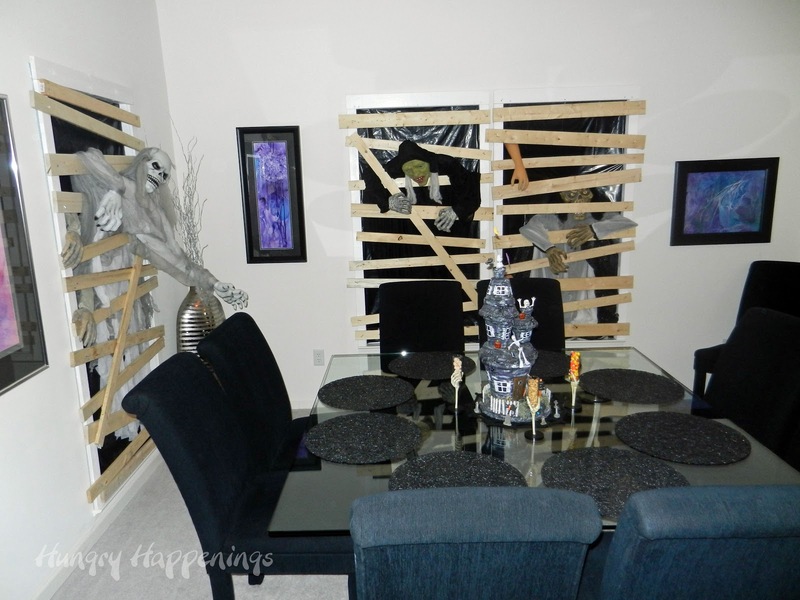 If you are one to do an all-out bash on Halloween, you get ideas that are VERY clever but easy too. Here’s the odd thing…the food is good!! I know that’s the whole point of a cookbook, but I’ve found in the past that Halloween cookbooks are often for the visual, not the taste. 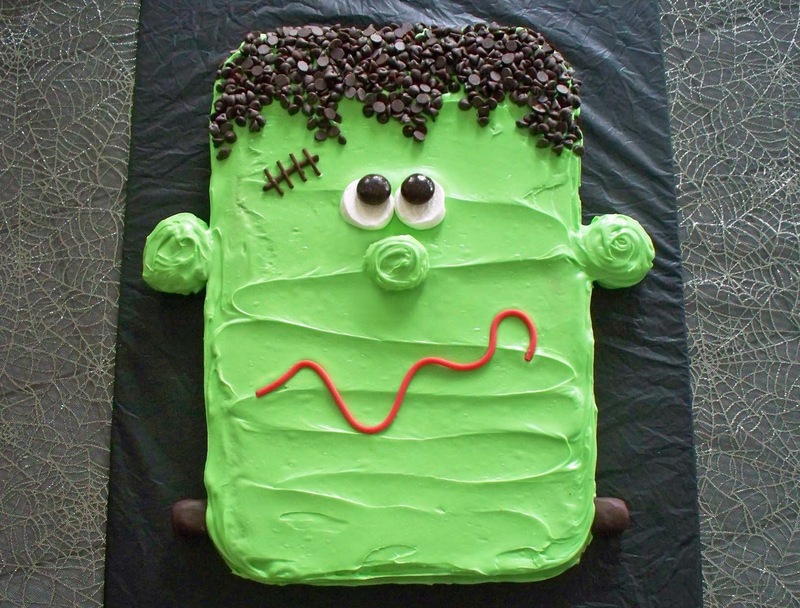 Conclusion: I bought another Halloween cookbook the week before this one. It didn’t even come close to the super clever stuff in here.. I just love this book. 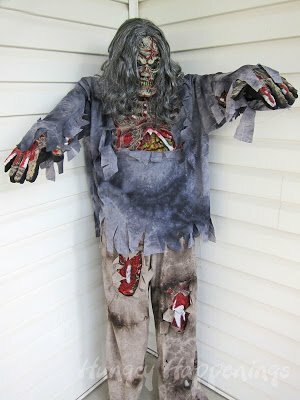 This may be Beth Jackson Klosterboer first book but the passion she displays shows a true dedication for the ghoulish. She “gets” exactly what Halloween is – fun, creepy and sometimes just a touch ghastly. Sure this may make some moms cringe a little, but there is plenty here for the whole family to enjoy. Some of my favorite ideas are the green tinged popcorn (a sweet concoction perfect for filling a cauldron), a creamy vanilla panna cotta “brain”, and calzone “bones” filled with a ricotta cheese with marinara blood on the side for dipping. This is a seriously fun book and I am counting down to Volume 2! 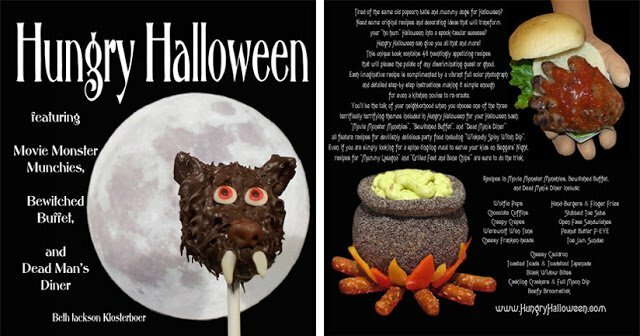 This book is so unique, page after page of incredible culinary concoctions to make any Halloween party-goer OOh, and AAh. with full step by step photographs. 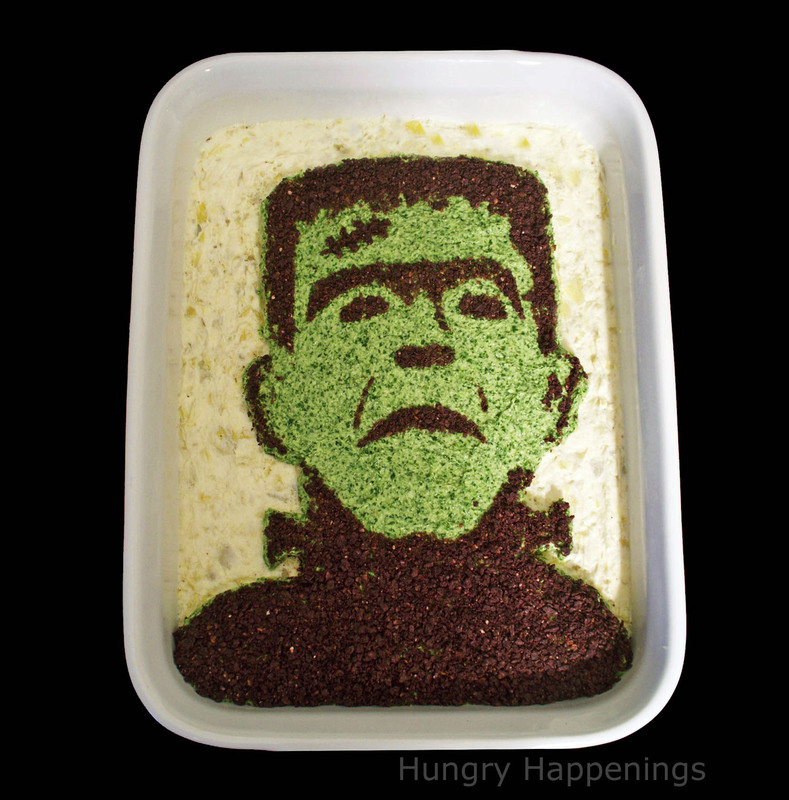 An amazing way to make your Halloween get- together unique, check out the the Portrait of a Monster Artichoke, and Spinach Dip decorated with a blue corn tortilla picture of the Frankenstein’s Monster; phenomenal. One note your cooking skills should be up to snuff, this is definitely not a book for the total novice, a basic knowledge of pastry making, will certainly come in handy as well. What an amazing book! I love Halloween, the parties, the costumes, the crafts and food and Beth Klosterboer had me at the first page. So much thought, creativity and work has gone in to this book–the recipes and projects are amazing and there is something fun here for the whole family. 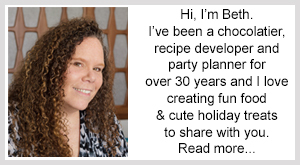 Beth provides not only clever party ideas/recipes but the templates and tips to pull them of with ease. What a wonderful addition to my cookbook/craft book collection!